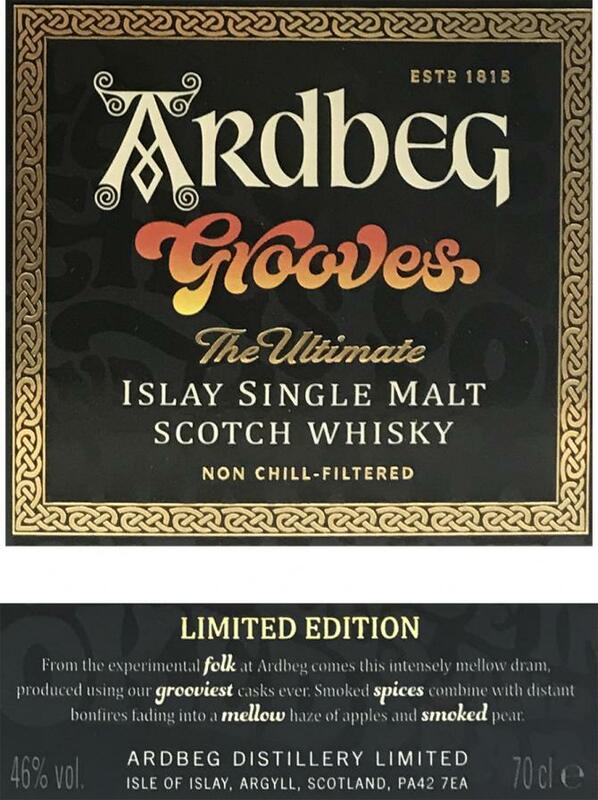 The first impression on the nose is very Kelpie-ish with lots of peaty, herbal and eucalyptus notes (I do not like these because they remind me of bitter cough medicine when I was young). The initial mouthfeel is warming but without any coating effect and a minor astringent feeling (heavy tannins from virgin oak). Most probably the distillery owns a lot of virgin Caucasian oak casks that provide the eucalyptus notes and heavy tannins (you know, the owners of Ardbeg do not have a bourbon distillery in their portfolio so they have difficulties to source enough bourbon casks for the ever increasing production due to the ongoing whisky boom. Consequently, they have to use virgin oak casks instead and they sourced some wood from Caucasia what is cheaper but it adds different flavours to the whisky than American or European oak. Nobody tried this before so this flavour profile was unknown so far - but what can you do else if you run short of high quality oak supply from the traditional sources?). The taste is very sweet with flavours of red fruits and dry peat. Better than the nose, for sure. The finish is of medium length and very chalky and mineral with a drying end (papers). With water the dram gets less sweet and more peaty but the chalky and mineral notes increase too, what I do not like. By the way, there is not much wine influence to detect at all neither in the nose nor the taste or finish. Finally a twist on Ardbeg, lovely apple-pecan-pie on the nose. A bit too thin on the palate though. So in the garden on the grill or just in between times (eg on a fair ;-)), he can not necessarily score big. But tasted with peace, he already shows his qualities. Whether he is priced or just in the frame, ultimately everyone must decide for themselves and their wallet. There is something sweet, unspecified, which starts at the first moment ... the wine barrel? Possibly. Anyway, it sets itself above the distillery character, at least at the beginning of Verriechens. Red grapes, a little lemon, cold smoke. Then also old, cracked leather, the grapes become raisins in rum. Smoked ham, some furniture polish. Coffee beans, freshly ground. Always the raisins as a sweet companion. Very oily onset, on the tongue like the bite in a floury apple - without the apple flavor, because the raisins are also found on the tongue. Cold and ashy smoke, lemon peels. Yeah, the lanky Ardbegaschenbecher, also in this groovy thing here. Not too long, not too dry, with raisins, dates, cocoa, espresso beans, wood and fine-seasoned spices. These grooves with 46% vol. really does not have to hide behind the cask strength version. Especially in nosing, the malt has a lot to offer very interesting, intense and of course delicious flavors. The combination of the typical Islay notes, the pepper-BBQ aromas, the oak-leather spice and the creamy vanilla and berry notes simply make for a great overall package, making it even more voluminous than the CR for me. I think that's amazing, because I'm really totally fassstärkenversaut. Of course, the malt pushes slightly less forward in the mouth, which I do not consider a disadvantage. The first nose is characterized by steamy and creamy-sweet vanilla pastry or cheesecake flavors, which are very quickly covered by a very aromatic spice. This is characterized on the one hand by oak wood aromas and old leather notes, on the other hand, however, are also the often mentioned notes of grilled peppers. Coupled with the typical maritime-salty Ardbeg smoke, the association with BBQ or gypsy schnitzel is very present for me. In contrast to the committee release, I also perceive a sweetness of red fruits (maybe strawberries or cherries? ), Which is very much interwoven with the other flavors. 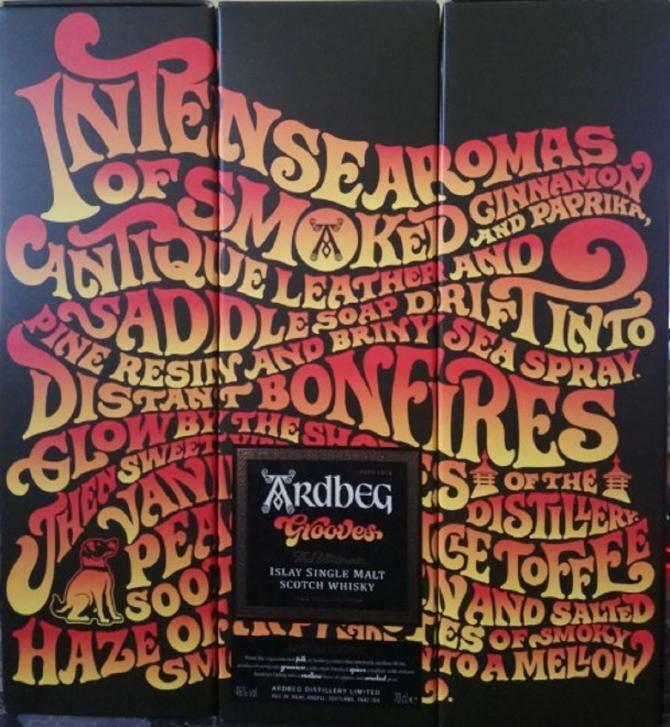 The variety of aromas is also reflected here, with the typical Ardbeg smoke now presenting itself a little more of its maritime-salty and simmering side. In addition, the flavor is characterized by the spicy-charred wood notes, wet moss, the BBQ character and quite a bit away from the berry sweetness. Now in the finish, the oak pushes back properly and leaves the mouth filled with melting dark chocolate and a pepper-ethereal seasoning. In addition, the salty-maritime notes and in the background, the flavors are complemented by refreshing sweet vanilla. Just a small sample at a fair. Did not convince me to buy a full bottle. A good old TEN is far better value. Definitely Ardbeg, peaty, dry smoke, ash, cured meat, slightly medicinal. Some underlying sweeter and fruityer notes. Total let down from the nose. Thin mouthfeel, almost watery compaired to what was expected. The peat is faint, so is almost everything else. 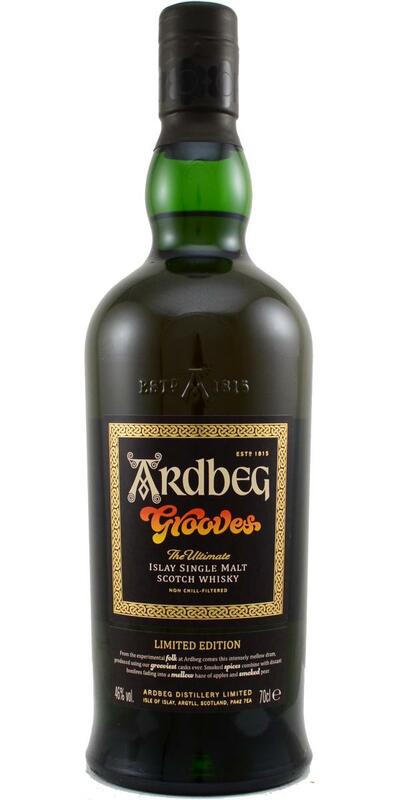 The sweet and fruity notes do not suit the basic Ardbeg profile, something is clashing. For me it's rather virgin oak than ex-wine casks. Slightly thin at 46%. But not bad. Peat, herbals, citruses, camphor, spicy oak and sweet fruits. Oily. Bourbon vanilla, tannic oak and sweet fruits. Peat, citruses and salted caramel. Medium length, bittersweet, spicy, smoky. 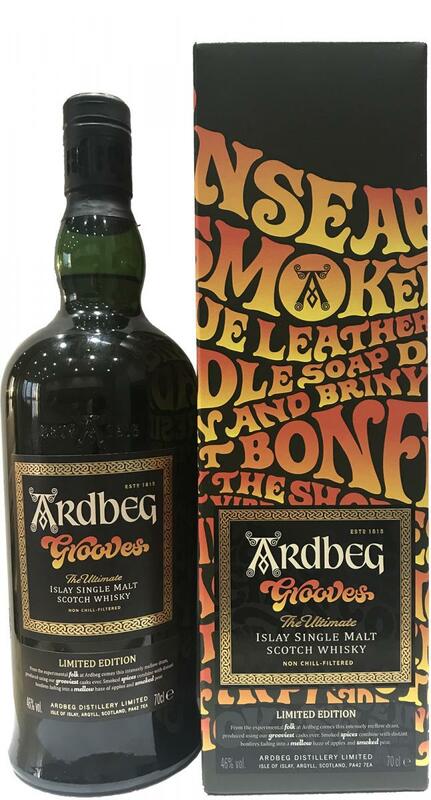 the almost caramelized toast side, the almost sweet peat, the more prominent fruit than usual in Ardbeg and the meaty meat side, then the sensation of cold grilled meat and cold ashes next to it make a singular spectacle! On the nose, intense fruit and not only on lemon, peach, strawberries, yes a little candied but still! and toasted wood, grilled, return of dry peat, which comes a little tidy up in the house! Much peat right, and also a rubber-like smell, reminds me of the shoe department of the Scapino. Also some BBQ scents of roasted meat. Some swims of fruitiness but a bit difficult to define. Great salmiak / lakrisal-kick in the beginning, firm, peppery, spicy. Smoke, ash, and again something fruity through it. Firm, which still provocative. Cigar stick, salty, and again slightly fruity. Long aftertaste. Decent whisky, feeling quite young on every tasting stage but with good overall balance. Quite heavily peated and with strong rubberry notes. Also red wine can be noticed in the nose. Interesting release but it loses to for example Uigeadail from the core range (also in cost terms) on my opinion.